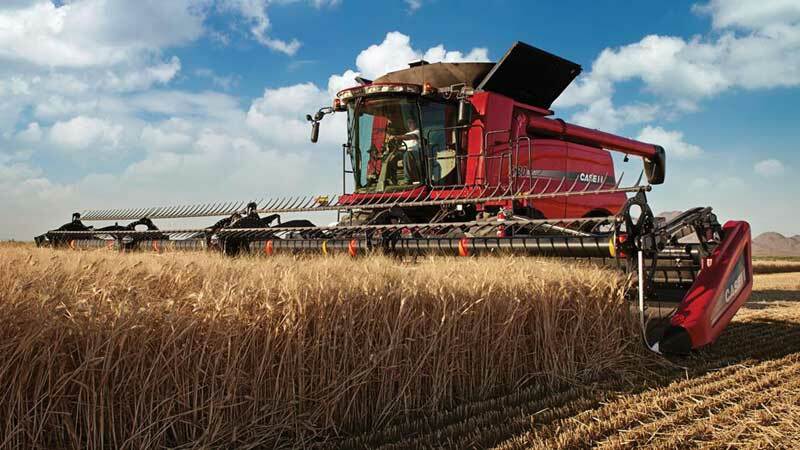 Case IH Axial-Flow combines lead the industry in productivity. With the fewest drive components, an industry-leading AFX rotor, and ability to adapt to over 134 grain types, Axial-Flow combines are engineered for simplicity and reliability. The Case IH Combine is one of the broadest models offering to meet the needs of any operation, including two Class VII models. From the hardworking, simple Class V Axial-Flow 5140 with 265 horsepower all the way up to the powerful Class IX Axial-Flow 9240 that peaks at 625 horsepower, you will find an Axial-Flow combine perfectly suited for your operation’s needs. Fewest drive components and longest service intervals in the industry for the simplicity and reliability you need for maximum uptime. Industry leading features such as the largest cleaning systems, most innovative drive systems, and largest selection of headers. Like their legendary predecessors, new Axial Flow 240 series combines will deliver the top performance that producers have come to expect, and more. More high quality grain, simplicity, crop adaptability, matched capacity, and top resale values plus unmatched horsepower in their respective classes. Regardless of crop, field condition or farm size, Case IH Axial-Flow combines are proven to produce the highest in both grain quantity and quality. As a member of the Case IH Efficient Power family, Axial Flow Combines are designed to deliver exceptional fuel and fluid economy as well as impressive horsepower. In fact, our six 40 series models offer full Tier 4 B/Final compliance. With large grain tanks, longer augers and quick-folding, no-tools-required grain tanks extensions are standard on all Axial-Flow combine models. The new 40 series, with an all-new upgraded unload system, raises the bar with up to 40 percent faster unload times.